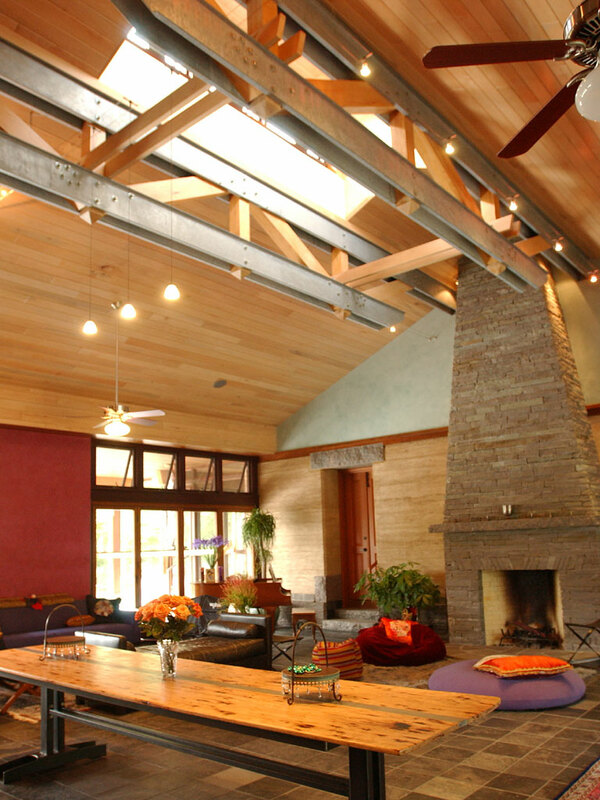 Featured on the Austin Green Building Tour, recipient of a 5 star rating (highest) in the Austin Green Building Program, and selected as the AIA Premier Home of 2004, the house consists of two massive rammed earth volumes linked by a glass walled great room that acts as a breezeway or “dog trot." Deep overhangs, 2 foot thick walls, and a metal roof with a ventilating cupola at the ridge encourage passive cooling. The house also boasts radiant heat, a photovoltaic array for power, and a constructed wetlands for septic.